Clenz-a-dent PlaqueOff contains Ascophyllum nodosum, a seaweed which acts naturally to decrease tartar and bad breath. I's extremely easy to use and offers incredible results on plaque and bad breath. Results are visible within 3 to 8 weeks on average. Administer on food once a day. 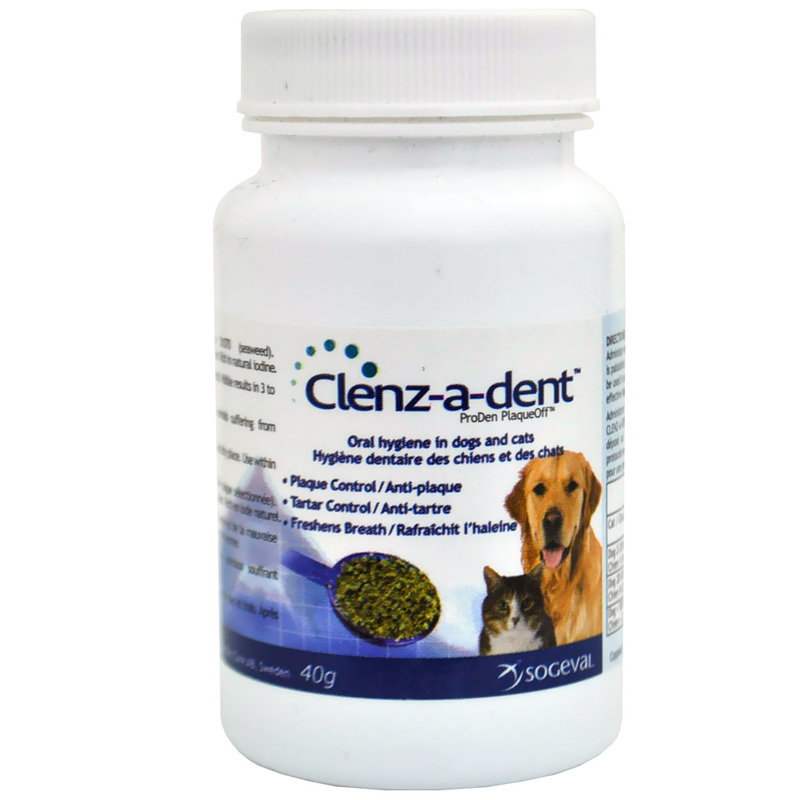 Clenz-a-dent Plaque Off is palatable and can be sprinkled on wet or dry petfood. Can be used in a protocol with other Clenz-a-dent products for effective home dental care. Purified Ascophyllum Nodosum D1070 (seaweed). Additive-free, preservative-free, sugar-free, gluten-free. Rich in natural iodine.